Maintaining an Active Directory is a very important administrative task that one must schedule regularly to ensure that, in case of disaster, you can recover your lost or corrupted data and can repair the active directory database. 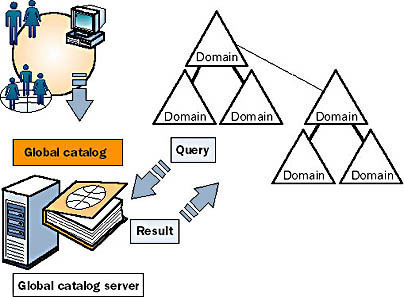 Extensible Storage Engine (ESE) is the active directory database, which manage all the active directory objects in active directory database. Any of the data modification affects database performance, database fragmentation and data integrity. Ntds.dit is the Active Directory database which stores the entire active directory objects on the domain controller. The .dit extension refers to the directory information tree. The default location is the %systemroot%Ntds folder. Active Directory records each and every transaction log files that are associated with the Ntds.dit file. Edb*.log is the transaction log file. Each transaction file is 10 megabytes (MB). When Edb.log file is full, active directory renames it to Edbnnnnn.log, where nnnnn is an increasing number starts from 1. Edb.chk is a checkpoint file which is use by database engine to track the data which is not yet written to the active directory database file. The checkpoint file act as a pointer that maintains the status between memory and database file on disk. It indicates the starting point in the log file from which the information must be recovered if a failure occurs. Res1.log and Res2.log: These are reserved transaction log files. The amount of disk space that is reserved on a drive or folder for this log is 20 MB. This reserved disk space provides a sufficient space to shut down if all the other disk space is being used. Over a period of time, fragmentation occurs as records in the active directory databases are deleted and new records are added. 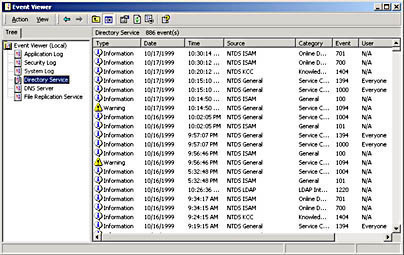 When then records are fragmented, the computer must search the active directory database to find all the records each time the active directory database is opened. This search slows the response time. Fragmentation also degraded the overall performance of the active directory operations. To overcome the problems that fragmentation causes, you defragment the active directory database. Defragmentation is the process of rewriting records in the Active Directory database to contiguous sectors to increase the speed of access and retrieval. 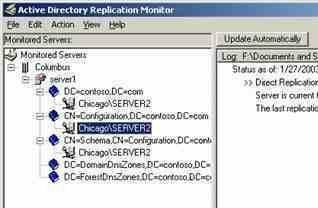 When the records are updated, Active Directory saves these updates on the largest contiguous space in the Active Directory database. You move a database to a new location when you defragment the database. Moving the database does not delete the original database. Therefore, you can use the original database if the defragmented database does not work or becomes corrupted. Also, if your disk space is limited, you can add another hard disk drive and move the database to it. Additionally, you move the database files in order to perform hardware maintenance. If the disk on which the files are stored requires upgrading or maintenance, you can move the files to another location temporarily or permanently. 255 queries in 0.948 seconds.